An historic day for Young People? | It's Up 2 Us! May 2 could be an historic day, as young people have their day in court, at 9:30 AM in the United States Court of Appeals in Washington, DC1. James Hansen, one of our best Climate Scientists and one of the first to identify the safe limit of Co2 in the atmosphere (350ppm) has written: “Assessing ‘Dangerous Climate Change’: Required Reductions of Carbon Emissions to Protect Young People, Future Generations and Nature” which provides the scientific basis for the court case. Whether successful or not it’s a moment not to be missed. If successful it’s a gamechanger, if unsuccessful it provides the extraordinary team working on this a chance to develop their arguments and develop their next case. Around the world people from all walks of life and professions are working on the solutions to Climate Change including finding ways to resist, slow down and stop the current system of fossil fuel addiction. For decades people have been finding the solutions to our energy needs, ensuring we can raise people out of poverty without fossil fuels, developing economic systems which enhance our well-being and take care of the natural world we all depend on. Today I honour those people who have not given up. Those like James Hansen who have taken their work where it’s needed – out of academic journals and into the streets and the courts. Those like his research assistants whose names we’ll probably never hear. I honour the young people who will be there on the 2nd May to hear the judgement. (To read more click here). 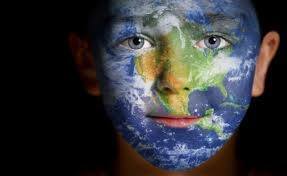 In partnership for a world our children will be proud to inherit It’s up 2 us!